With more glitter and pink than you’d find on a Disney princess, we at Mobile Bingo Bonuses bring you an exciting site from the renowned Nektan called Spin Princess. You can access Spin Princess on desktop, mobile and tablet devices, meaning that you can play incredible slot and table casino games whenever you choose. The next time you’re walking the dog, taking a lunch break or relaxing in the bath, simply log in and enjoy features favourites such as Jack and the Beanstalk and Gonzo’s Quest. Accept mobile phone billing with Boku. Spin Princess begin their generosity from the moment you register, because you’ll receive a £5 no deposit bonus. Once you’ve completed some personal details, the credit will be added to your account and you can play any games you wish. 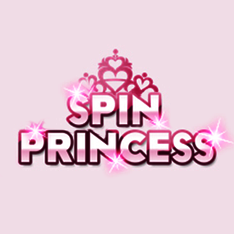 If you decide to become a Spin Princess regular, then you can enjoy their weekly and monthly promotions. 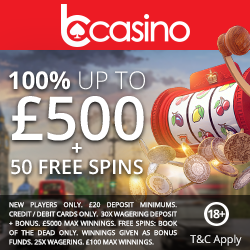 They offer a variety to suit all gamer’s needs and include Tuesday Match, 100% Losses Back Weekend and Bonus Spins Thursday. In addition to the promotions you can enjoy their VIP Club, which offers tailor made rewards and bonuses. There are three levels to the scheme which include VIP, Premier and Elite; all come with a dedicated account manager. For those times when you have a query or there’s a problem, you can contact a Spin Princess representative via email, post or telephone. Should you need a faster response, then check out their FAQ section as it may contain the answer you need. Spin Princess accept the usual banking methods including Credit and Debit Cards, Neteller, Skrill and pay by phone through Boku. To deposit with Boku simply confirm your wish to use this method, by providing your 11 digit mobile number. You will initially be limited per day on the amount you can deposit, but this will increase over time. You simply pay off the amount owed when your mobile bill is due. 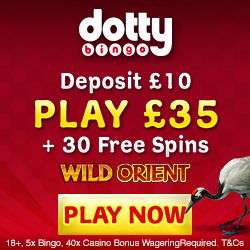 To enjoy the £5 no deposit bonus and cash matches, simply head over to Spin Princess and register.